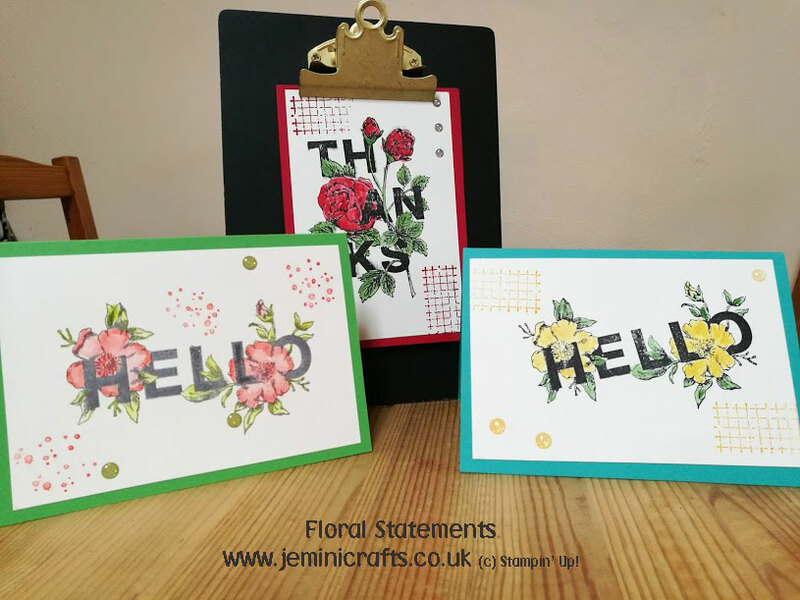 The floral stamp set we used this week from Stampin' Up! was a great hit at BOTH my coffee and card sessions. CLICK HERE to visit a previous post showing the first session, and below are the cards from the second session. 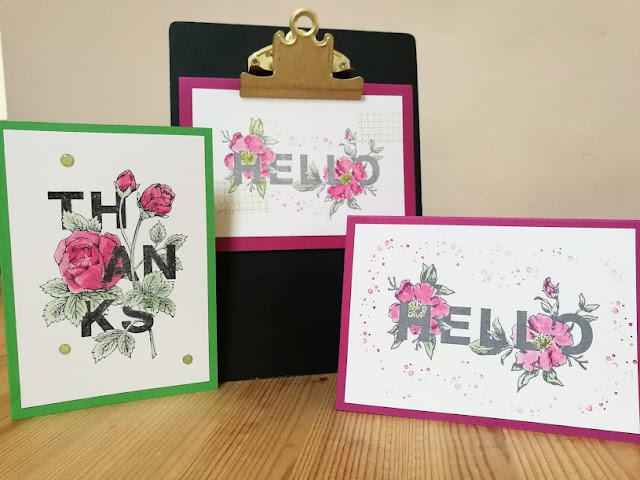 They did a great job, it's so easy to create these with some simple stamping and watercolouring.